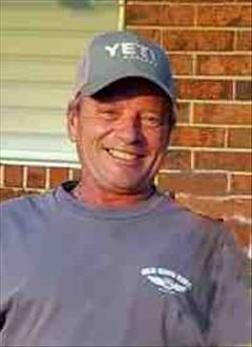 William Harold “Harry” Ellerbe, 54, resident of Tulsa, passed away Sunday, Nov. 4, in Dallas. Harry was born Sept. 11, 1964, in Mountain View, Calif. to Wilbur Ellerbe and Kaye Ellerbe. Harry lived for several years in California and later in Virginia Beach. He then moved with his family to the Wilburton area. Harry served in the U.S. Army for several years before his honorable discharge. He loved fishing, working on cars, and tinkering in the garage. Harry was a welder/fabricator by trade and he was devoted to his job. He married the love of his life, Janet Kallos on July 15, 2006, in Eureka Springs, Ark. Harry and Janet remained happily married for 12 years prior to his death. He was a loving son, brother, father, and grandfather; and he will be missed by the many people who knew and loved him. Harry was preceded in death by his father, Wilbur Ellerbe and a sister, Kathrine Crabtree. Harry is survived by his wife, Janet Ellerbe of the home; mother, Kay Ellerbe of Glenpool; a daughter, Sarah Rodgers and husband Josh of Sugar Creek, Kan.; two sons, Timothy Ellerbe of Lenexa, Kan. and Nicholas Ellerbe of Clayton, Ind. ; step-daughter, Kirsten Slaughter and wife Cody of Broken Arrow; two step-sons, Timothy Clark of Tulsa and Brandon Clark of Owasso; 10 grandchildren; a brother, Dale Ellerbe of Belle Plaine, Kan.; two sisters, Carol Robb of Dallas, Texas and Patsy Bowden and husband Troy of Stigler; several nieces and nephews; as well as a host of other extended family and many good friends. Graveside services will be at 2 p.m. Wednesday, Nov. 7, at Salt Creek Cemetery in Wilson under the direction of Integrity Funeral Service.